Besides developing content and optimizing ads on Facebook & Instagram, beauty brands should also consider another approach of engaging influencers marketing, and here's why. Facebook IQ has commissioned TapestryWorks to survey 4,158 and interview 64 women in Indonesia, Japan, Malaysia and South Korea. Via this report, we get to understand more about women's behaviour towards the research and purchase journey of beauty products. Everyone now knows people spend a lot of time on social media, namely Facebook and Instagram in this part of the world, so here we summarize 12 facts why beauty brands should maximize their presence on social media. #1. [51%] of beauty buyers in Japan, South Korea, Malaysia and Indonesia reach for their mobile devices first when they want to see beauty-related content. #2. [41%] say that their mobile device is the most important device they use for online resources on beauty and beauty products. #3. 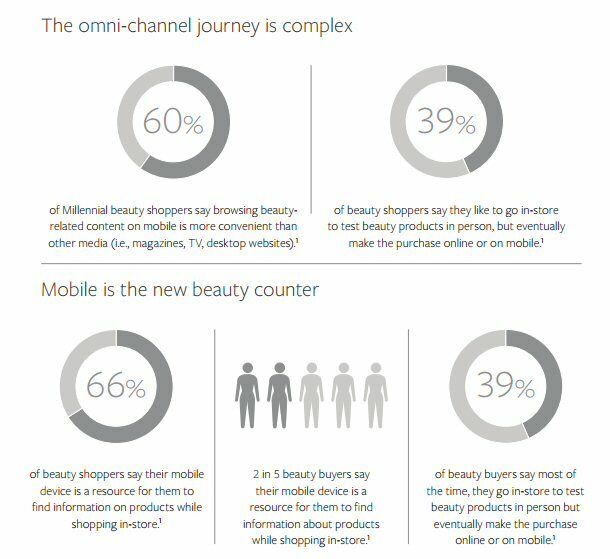 [26%] of beauty shoppers say they'll start making more beauty purchases on mobile now as compared to 3 years ago. #4. [60%] of Millennial beauty shoppers say browsing beauty related content on mobile is more convenient than other media (i.e., magazines, TV, desktop websites). #5. [39%] of beauty shoppers say they like to go in-store to test beauty products in person, but eventually make the purchase online or on mobile. #6. [66%] of beauty shoppers say their mobile device is a resource for them to find information on products while shopping in-store. #7. 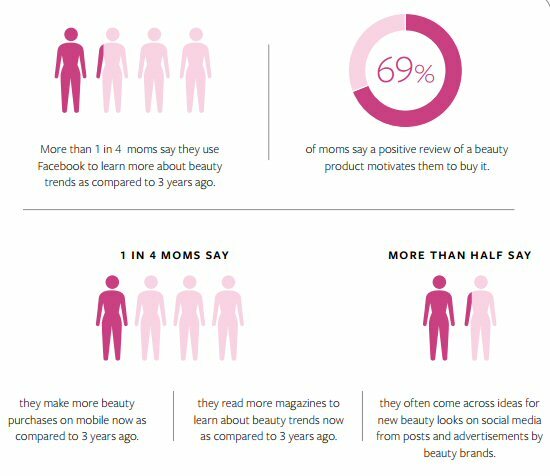 [>25%] More than 1 in 4 moms say they use Facebook to learn more about beauty trends as compared to 3 years ago. #8. [69%] of moms say a positive review of a beauty product motivates them to buy it. #9. [>50%] they often come across ideas for new beauty looks on social media from posts and advertisements by beauty brands. #10. [25%] After finding out a new product, 1 in 4 beauty shoppers would search Facebook before buying the product. #11. [79%] of beauty buyers who engage with beauty content on Facebook agree that they get inspiration from beauty looks posted by friends and celebrities. #12. [53%] of beauty shoppers say they use Instagram to find inspiration for beauty looks and ideas. If you are interested to find out more, download the full report here.